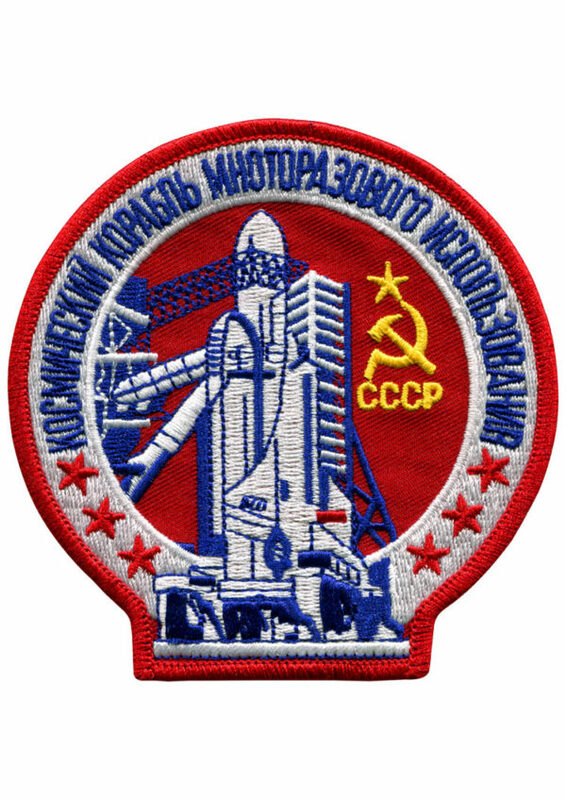 The official Russian Shuttle Buran embroidered patch. The first and only orbital launch of the shuttle Buran was at 3:00 GMT on 15 November 1988. The flight was unmanned and fully automated, a significant achievement in itself, as the life support system had not been checked out and the CRT displays had no software installed. The vehicle was launched on the powerful Energiya booster into an 247 by 256 km orbit at 51.6 degrees inclination. The Buran orbited the Earth twice before firing its thrusters for reentry. The flight ended at 6:25 GMT after two orbits when the vehicle touched down at the Baikonur Cosmodrome.